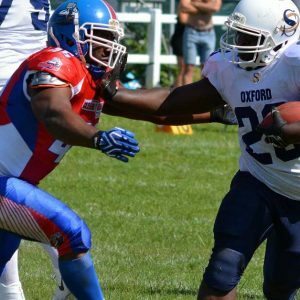 This SUNDAY the Oxford Saints are playing a new team who are planning to join the national league. As part of their association process, the Raptors are required to compete in several games both home and away. 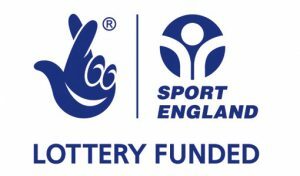 We’re looking forward to hosting a passionate new club as they continue to develop. The contest will provide a valuable opportunity for the Saints coaching staff to get newer players considerable game time and assess them in game situations. 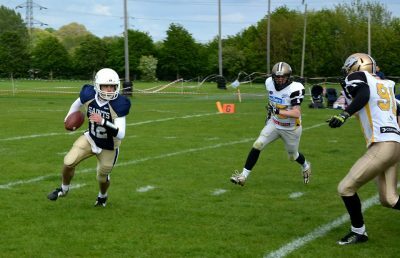 With the first round of the playoffs on 23rd August, it also gives the Saints the chance to keep sharp and continue to build momentum for the quarter finals against the Sussex Thunder. 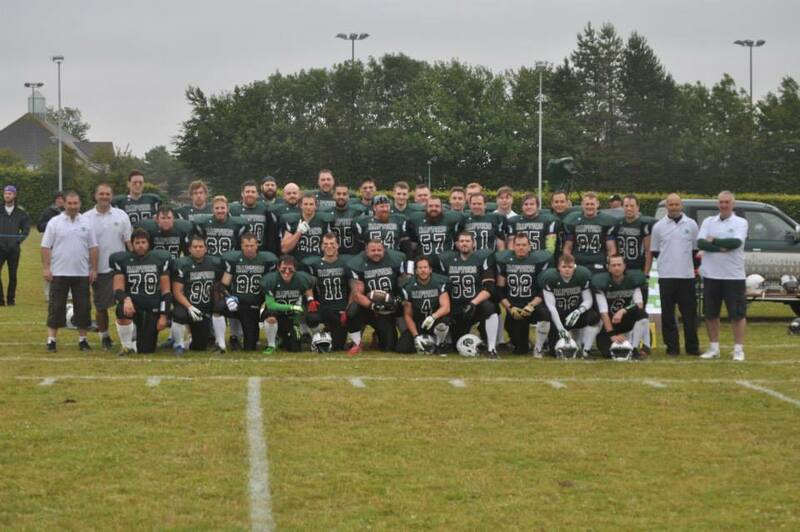 The newly formed Dorset side have been training throughout 2014 and 2015 as they prepare to complete their trial period and enter the national league. 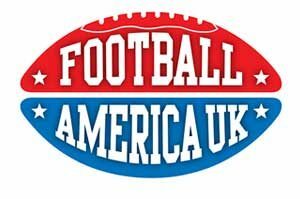 Although American Football is a rapidly growing sport, setting up a new club for any sport is no easy task and the obstacles are no doubt higher when you are trying to form an American Football team, which is still considered a niche sport within the UK. 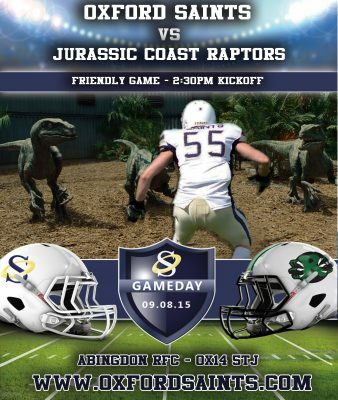 The Raptors staff have built the foundations and completed all the necessary steps on their path to national competition, such as building a fan base, attracting their first players, identifying a home venue and securing club kit. Following several scrimmages with already established teams including the Bristol Apache and the Staffordshire Surge, the Raptors hosted their first game at Dorchester Rugby Club in March 2015, against the Bournemouth Bobcats. 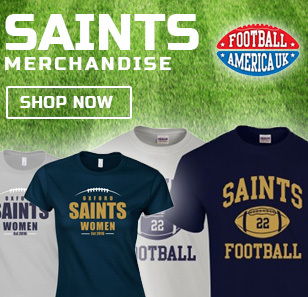 With the Saints locked in to the 2015 playoffs, this game presents an excellent occasion for the coaching staff to experiment with new plays and different personnel. 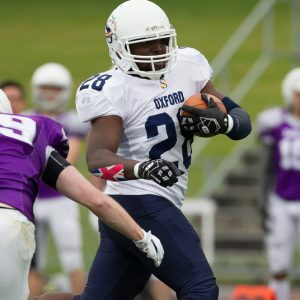 It is also an ideal occasion for newer players to get considerable game time and show their positional coaches what they can do in a game situation, as individuals across the team continue to compete for starting spots in what has been a fiercely contested 2015 roster for Oxford, with approximately 80 registered players. The starting offense and starting defense are expected to be given a few drives of action but the majority of the game will be used for development and assessment purposes. 2nd string quarter back David McCormack will be taking over from 1st string Ben Denton, who is unable to attend this game. McCormack and Denton have both transitioned to the quarterback position for 2015. 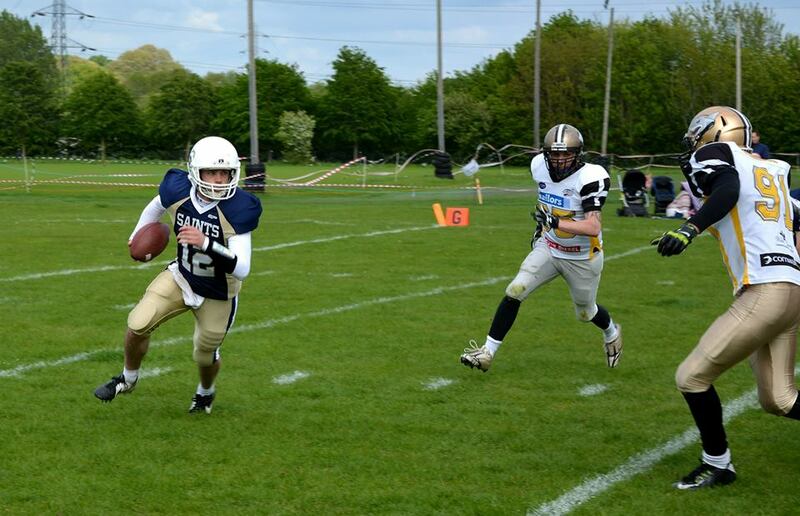 In previous years McCormack played at running back, which gives him the ability to take off and move the ball on the ground when necessary. 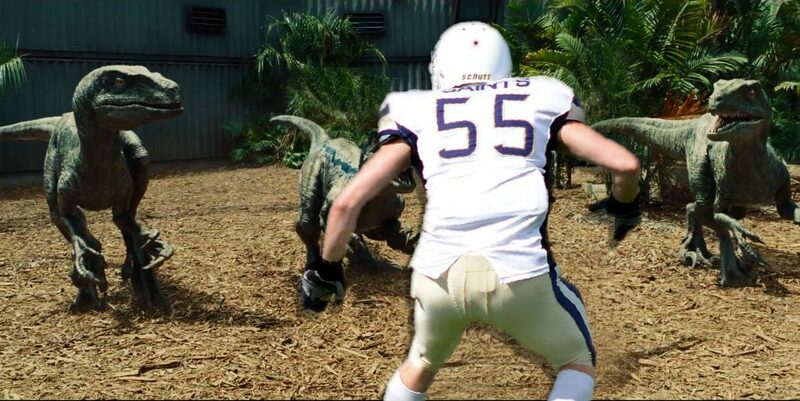 Meanwhile Denton, who has led the Saints to a 6-2 record and their first playoff appearance since 2012 in his first year at quarterback, was previously a free safety/corner back. 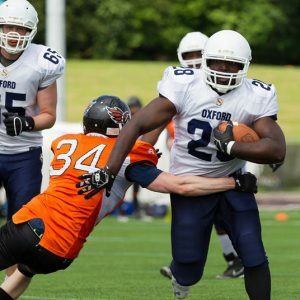 Oxford coaching staff, players and fans alike will be keen to see McCormack in action as he starts his first game under centre. 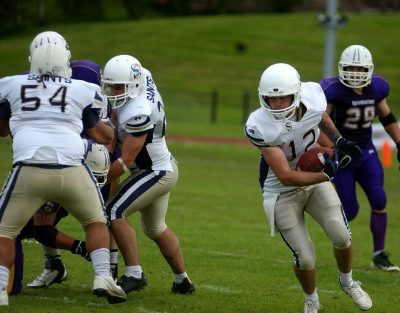 Following practice last weekend, Saints head coach Andrew Day addressed the team and stated “this is an excellent opportunity for depth players to prove themselves and show what they can do” – making a challenge for game time as the first playoff game approaches. The Jurassic Coast Raptors will be travelling to Oxford, which will be played under full gameday conditions. To see us in action, please use the address below. 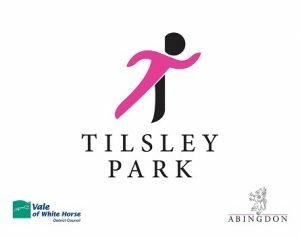 Food and drink will be available from the licensed bar, parking available and entry is free. 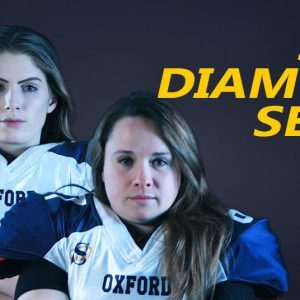 If you can’t make it, be sure to follow us on twitter @oxfordsaints and like our facebook page for live score updates! 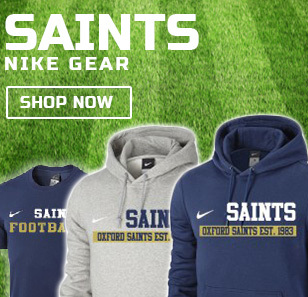 ← The Saints Go Marching In…. To The Playoffs!